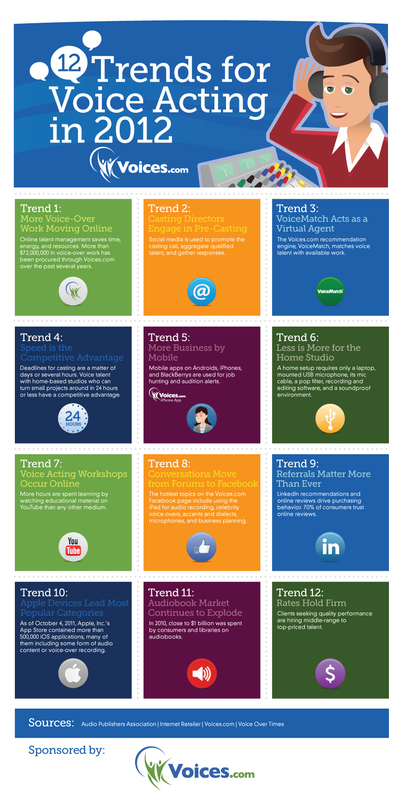 May 24, 2012 0 comments on "12 Trends of Voice-Over Acting"
Read and then share the 12 Trends for Voice Acting, a document detailing observations on industry trends from the perspective of the voice over marketplace. More voiceover work is moving online which helps save time, money, energy and resources. Social media is now being used to promote voice-over casting calls, aggregate qualifies talent and gather further responses.